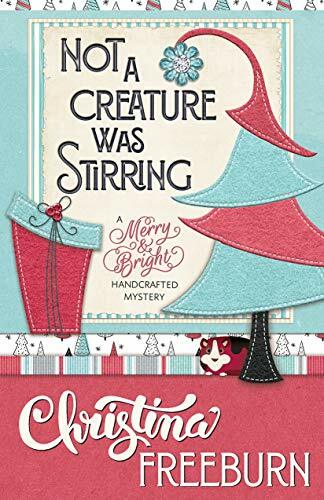 I always get excited when there is a book set in my home state of West Virginia, and when that book is a cozy mystery, with a Christmas theme, I get even more excited. And this book did not disappoint me. I enjoyed this story from the start until the surprising conclusion. In this one, we meet Merry Winters, who is a crafter who loves Christmas. She has just purchased an RV form her ex-daughter-in-law that she plans to use as her mobile crafting studio and showroom. 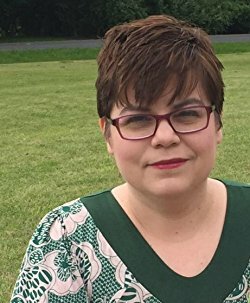 When she arrives at a Christmas Craft Fair in Morgantown, she finds the body of her recent ex-husband in the storage compartment under the dining table. Of course Merry becomes the main suspect. Merry has to figure out who the real killer is to clear her name so that her Christmas is not ruined. Merry has help from her crafting partner, who she only communicates with through text messages and the organizer of the Craft fair (who plays more of a major part than first suspected). She is thwarted by her ex-daughter-in-law, who is looking for some kind of ticket that she fears was left in the RV, who blames Merry for her father's death. This story has so many twists and turns it really felt like I was on one of West Virginia's back roads. There are not really many suspects, but then someone you would not expect to be a suspect at all ends up being a suspect. There are many secrets that are revealed in this story, not only who the killer is and why. The ending was really surprising and I did not see it coming at all. I am anxious to read the next in this series to find out what else will happen with Merry and the inhabitants of Season's Greetings, WV.